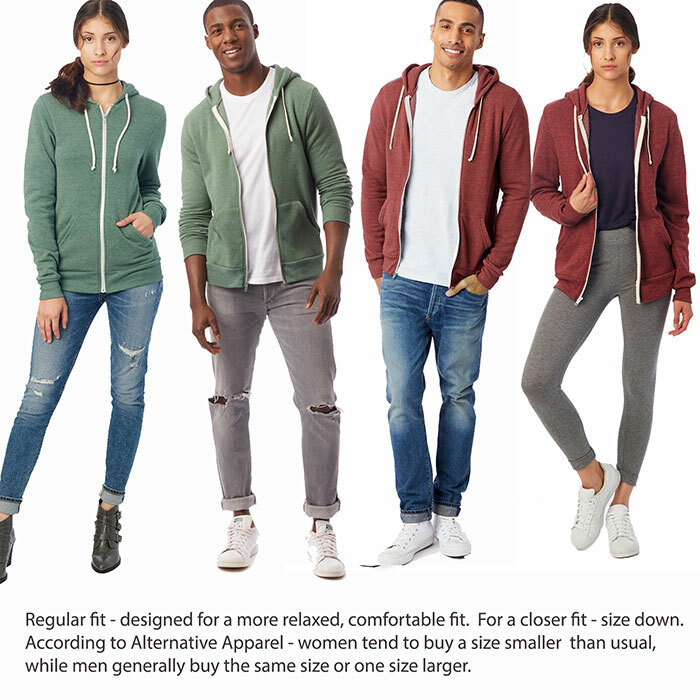 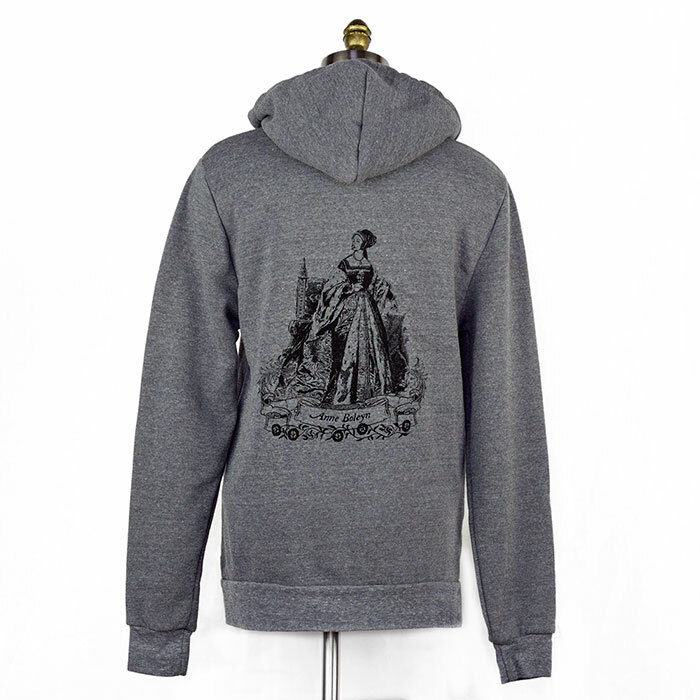 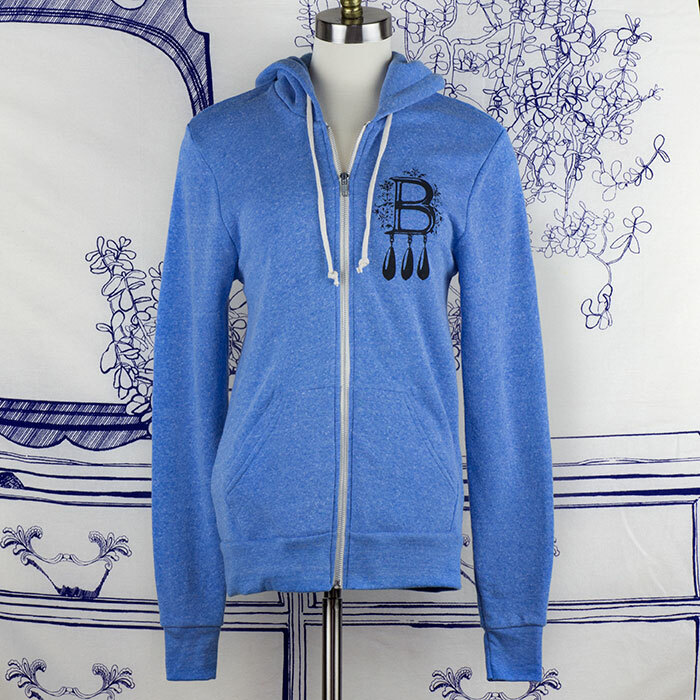 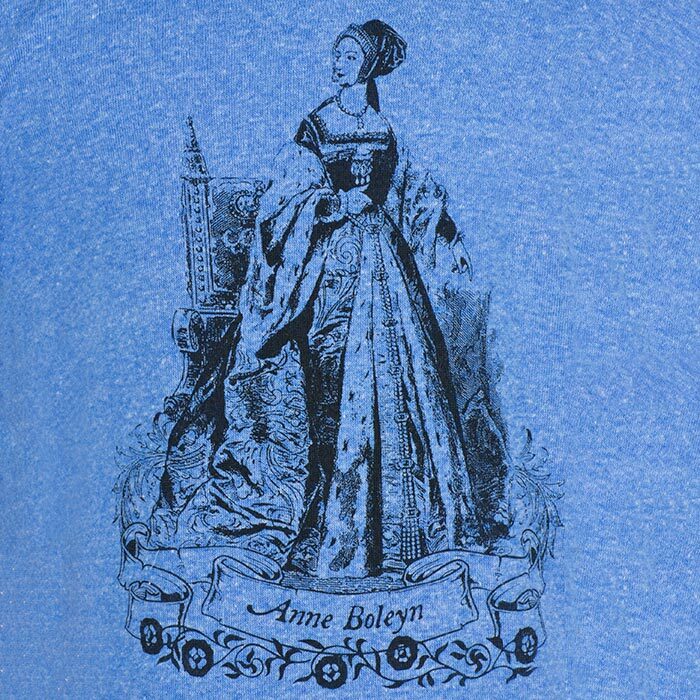 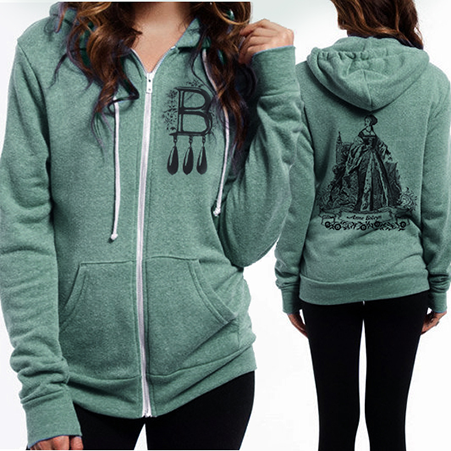 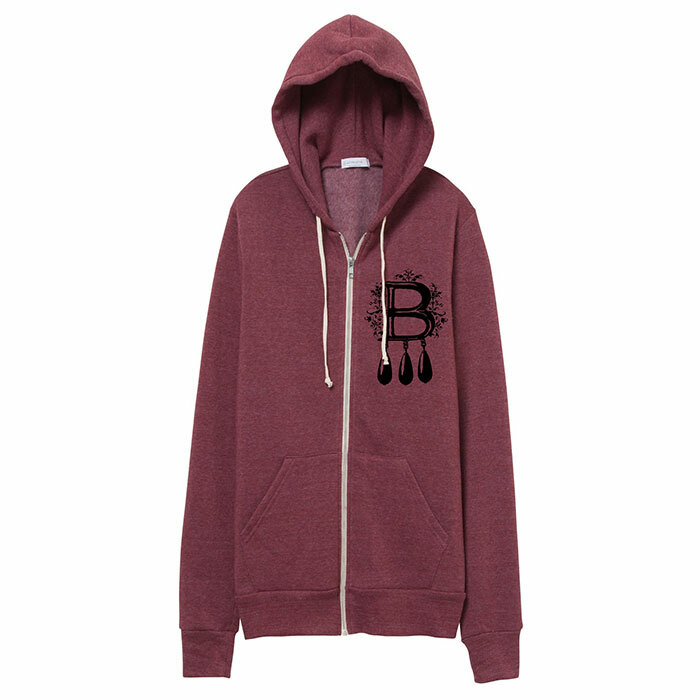 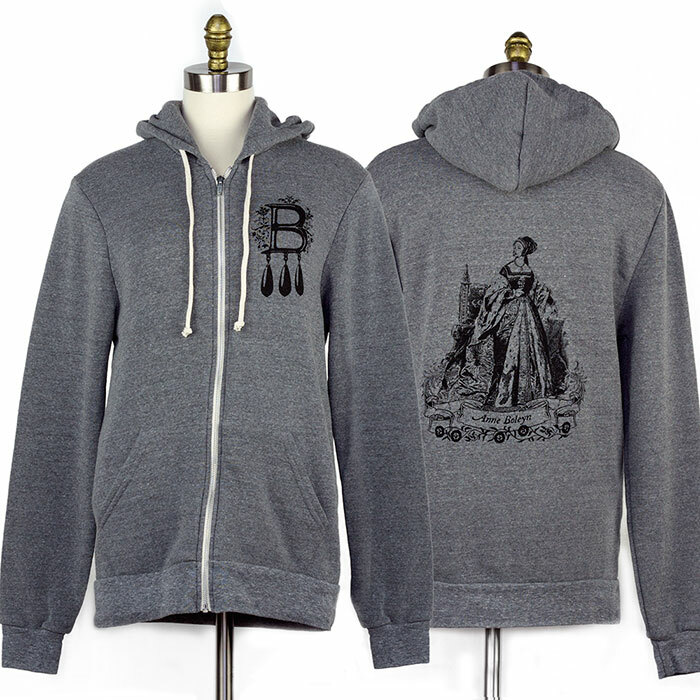 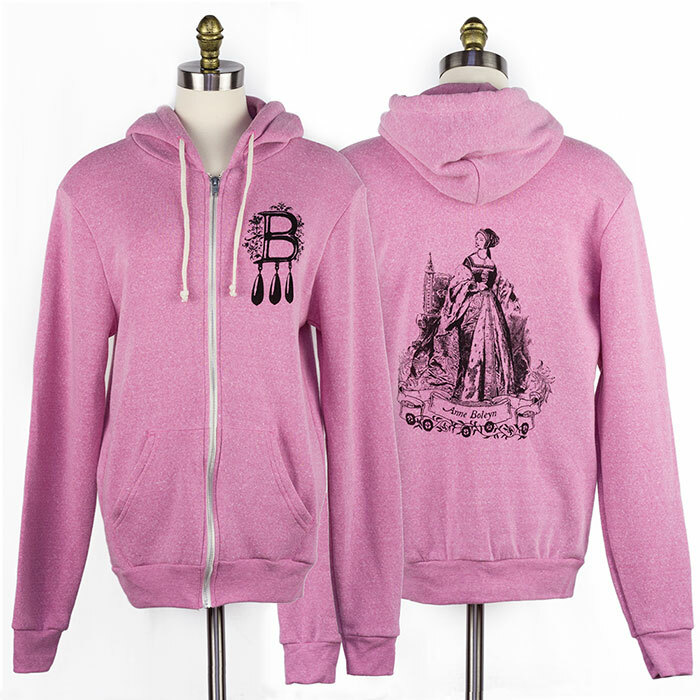 A knockout when it comes to style and comfort, the Alternative Apparel Rocky Hoodie features a design of mine based on Anne Boleyn's "B" necklace on the front and a design based on a vintage engraving of Anne Boleyn on the back . 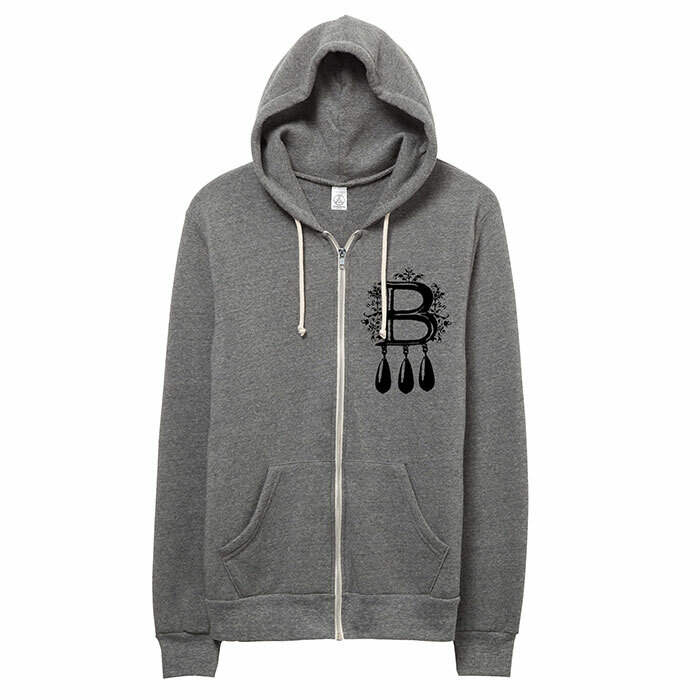 Design is printed in black on a heathered Eco Hoodie. 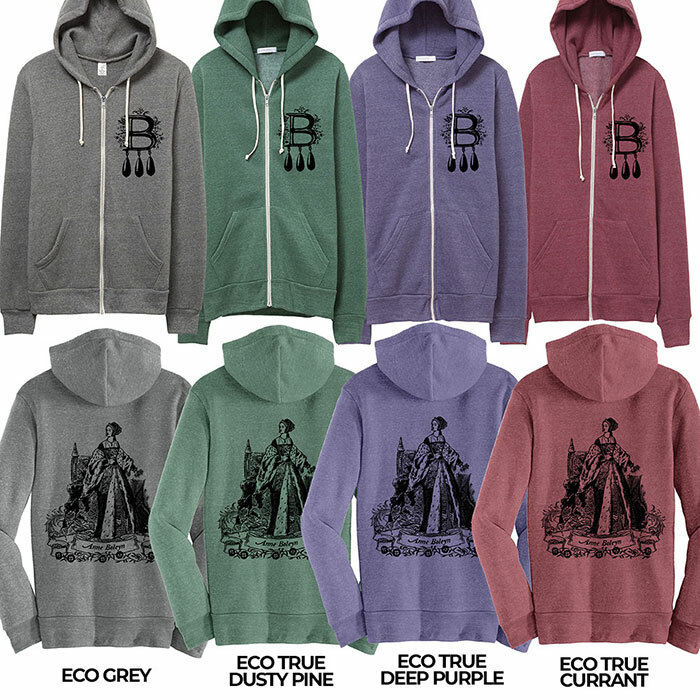 Colors: Eco Grey, Eco True Dusty Pine, Eco True Deep Purple, and Eco True Currant. 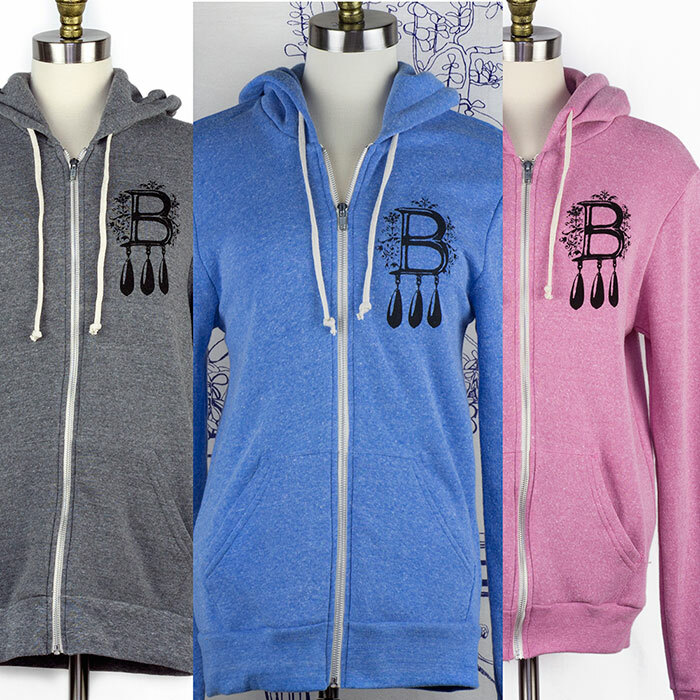 Discontinued colors Pink and blue. 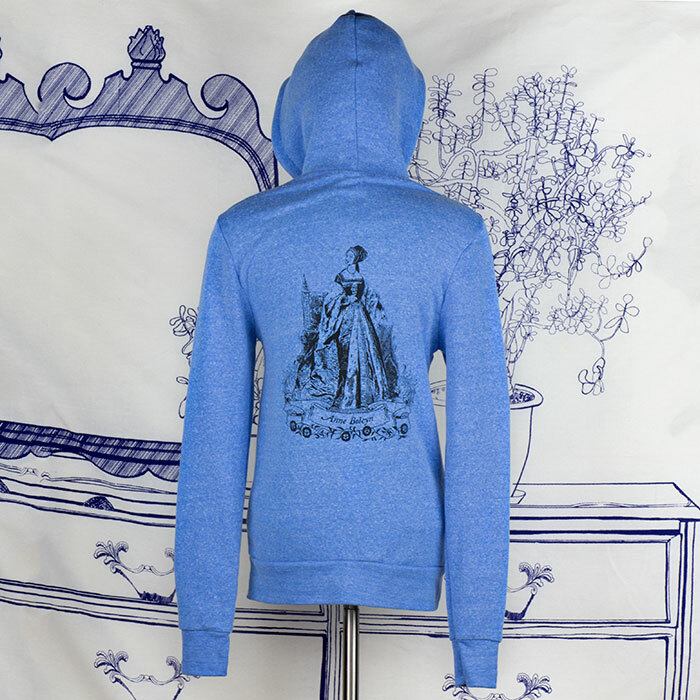 Click more details for more. 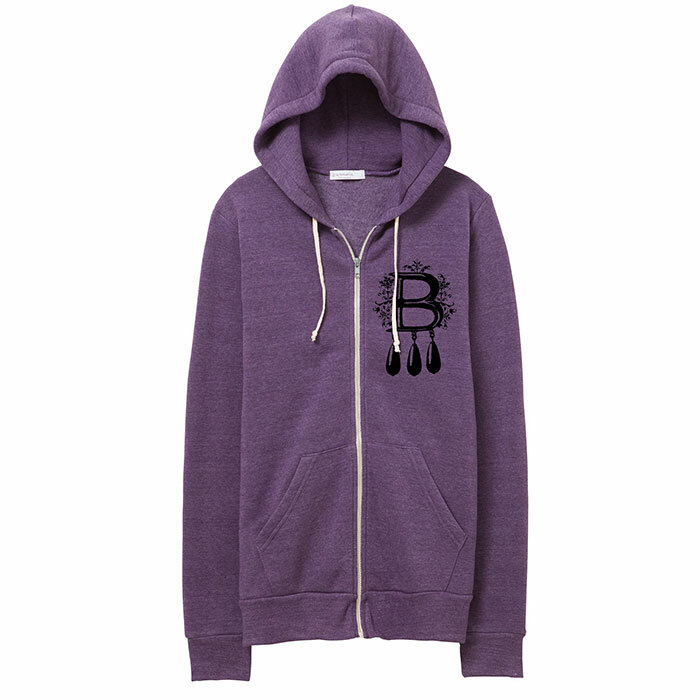 Hoodies will ship within 1-3 days of the order being placed.